In today’s competitive market, it’s not enough to just sell quality goods and services at competitive prices—especially in Carney, MD. You need to provide a retail setting that your customer will find aesthetically pleasing. That can be a difficult task for a restaurant, showroom, or warehouse setting in the Carney area. Even department stores can find it tough to mix the right amount of ambiance with the day to day business of a working retail establishment, and safety of employees and patrons alike. Why Coat Carney Retail Floors? As a retailer located in Carney, you can count on Prestige for a high-quality product, installed to your complete satisfaction. We understand how much your business means to you. 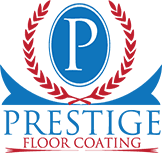 Protect your floors and your livelihood with retail floor coatings from Prestige. Contact Prestige Floor Coatings today to find out how you can protect your retail establishment in style.